If your belly is your weakness, and you want to get rid of those spare tires, Runtastic Six Pack can help you out. This application for iPhone offers you a training plan to exercise your abdominal muscles and replace your rolls of fat with a perfect six pack. 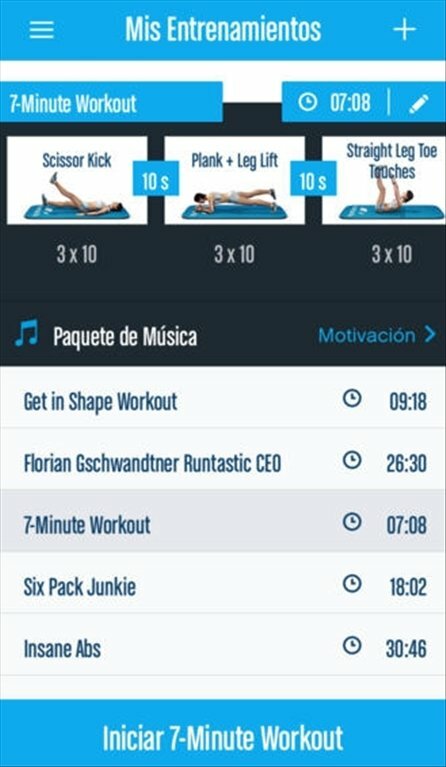 Abs trainer with customized exercises and workouts. We can choose between a male or female trainer to guide as through the workout. We can adapt the difficult and intensity of the workouts. Incorporates more than 50 tutorials so that we learn to do the abdominal exercises. Allows us to add music packs. We can create our own customized plans. If your willpower isn't enough to exercise your abs, download Runtastic Six Pack to help you accomplish your target.